After breakfast check-out from hotel and processed for the Mysore which is around 140kms (4hrs) drive from Bangalore. Later check-in to the hotel. Then go for city tour where you can see Mysore Palace, Chamundi Hills, and The Rail Museum. Evening visit Brindavan Garden.Later back to hotel. Overnight stay at hotel. After breakfast check-out from hotel and processed for the Ooty which is around 155kms (3hrs) drive from Mysore. Later check-in to the hotel. Then go for local sightseeing Botanical Garden, Ooty Lake, Rose Garden, Doddabetta peek, Pykara boat house, etc. Evening back to hotel.Overnight stay at hotel. After breakfast check-out from hotel and processed for the Kodai which is around 236kms (6hrs) drive from Ooty. Later check-in to the hotel then rest whole day will be free for leisure and relaxation. After breakfast go for local sightseeing of Kodai where you can see Kurinji Andavar Temple, Pillar rocks, solar observatory,Bryant Park. Evening visit waterfalls of Kodai such as Bear Shola Falls, Silver Cascade, Fairy Falls and Glen Falls.Late evening back to hotel.Overnight stay at hotel. Bangalore, recently renamed as Bangalore, is the state capital of Karnataka and one of the most attractive modern cities in India. It has grown into the fifth largest metropolis of India. The city is famous for its beautiful parks, avenues, impressive buildings, heritage centers and excellent shopping. These qualities make it a magnificent place to visit, a delightful destination in its own right as well as the gateway to Southern India. Mysore is a major tourist city of Karnataka. 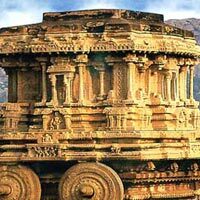 The city was the erstwhile capital of the state and hence has played an important role in the history of the state and of South India. Today it has developed into a modern city like many other cities in the country. But this city has not lost touch with its rich historical and cultural legacy. Mysore city is a favorite tourist destination in Karnataka. Tourist from within the country and from outside come see the splendour of the city of Mysore. The city has a number of places a person can visit. There are a number of Royal buildings, gardens, waterfalls, temples, museums and modern amusement parks. Ooty is also known as "Udhagamandalam". It’s been rightly titled as the as Queen of Hills. Ooty, the headquarters of The Nilgiri district is one of the famous hill stations in India. It is situated at an altitude of 2,240 meters above mean sea level. The word Nilgiri means Blue Mountains. It is a land of picturesque picnic spots and had been a popular summer and weekend getaway for the British during the colonial days. There are plenty of interesting tourist more. One of the attractive hill station in India, Kodaikanal lies amidst the natural beauty of the southern crest of the upper palani hills near near the city of Madurai. The verdant pali hills with its slippery slopes, curved rocks, never ending waterfalls, lakes provide the required serenity and pleasure to the wonder destination. Kodaikanal preserves a unique flowering plant Kurunji or kunjarani only found there and is nature's gift to that place. The flower is seen blooming once in every 12 years. Situated at a height of about 2,133 m altitude and covering an area of 21,45 sq km, the charming hill station is the best place for the newly wed couples and peoples who wants to have peace of mind in nature's lap. The hill town is also renowned for the international institution of repute.3.09% Government Service Tax. Anything else which is not mentioned in the Package. Surcharge would be charge on pick season.